It's Kate here today and I wanted to revisit this months Rerun challenge. So this month the featured stamp set is Scenery: The Party Hangover. 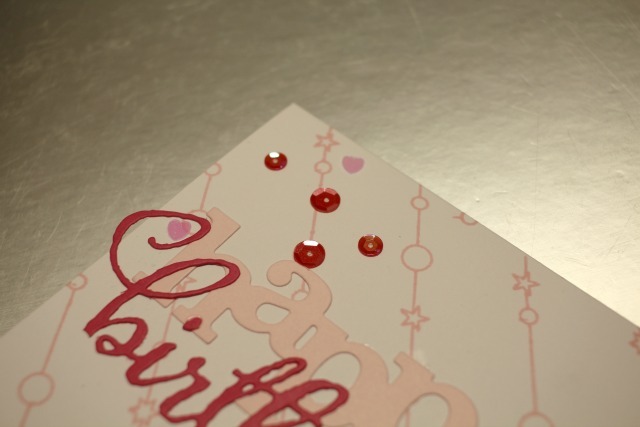 I kept this card very simple and repeat stamped the image in pink at an angle on my card base. 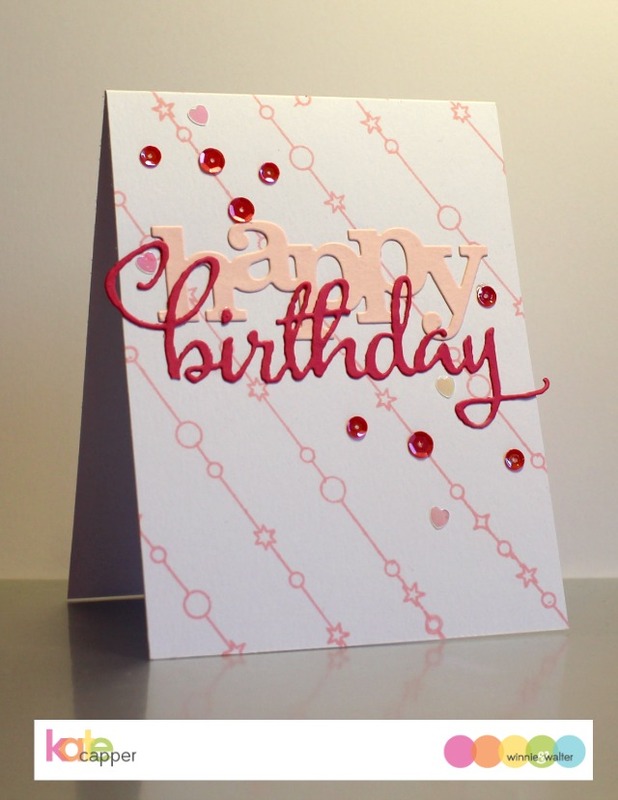 I wanted that stamped image to be my main stamping so I have used In a Word: Happy Cutaway and The Big, the Bold and Party Cutaways for my sentiment. Next up I used the scalloped stamp. 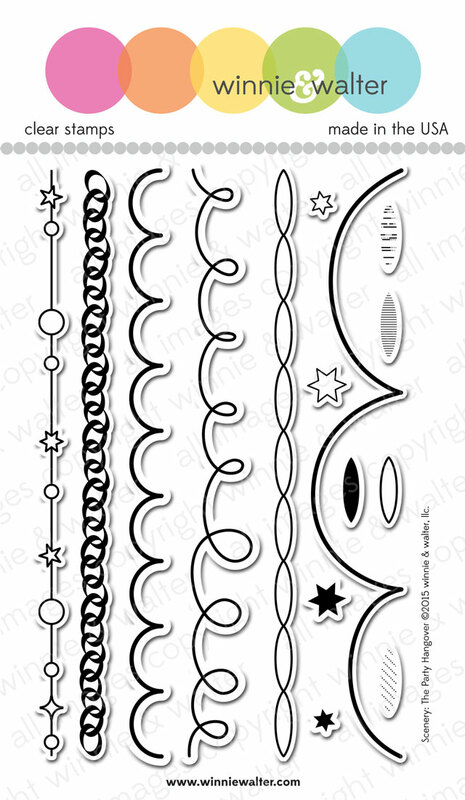 I stamped the scallop four times on my panel in black ink. I then used the Goldie Trim Cutaways with some scrap paper to mask the parts I wanted white. I then used an ink blender and distress inks to add colour. 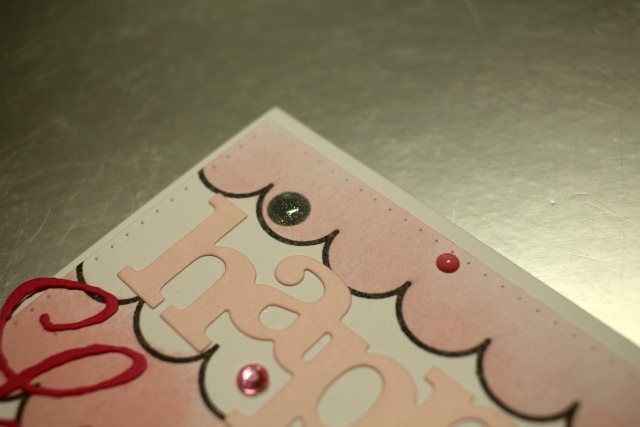 Again i have used cutaways for my sentiment and then added some enamel dots and rhinestones to finish. These are very pretty and festive, love! Such beautiful cards!! 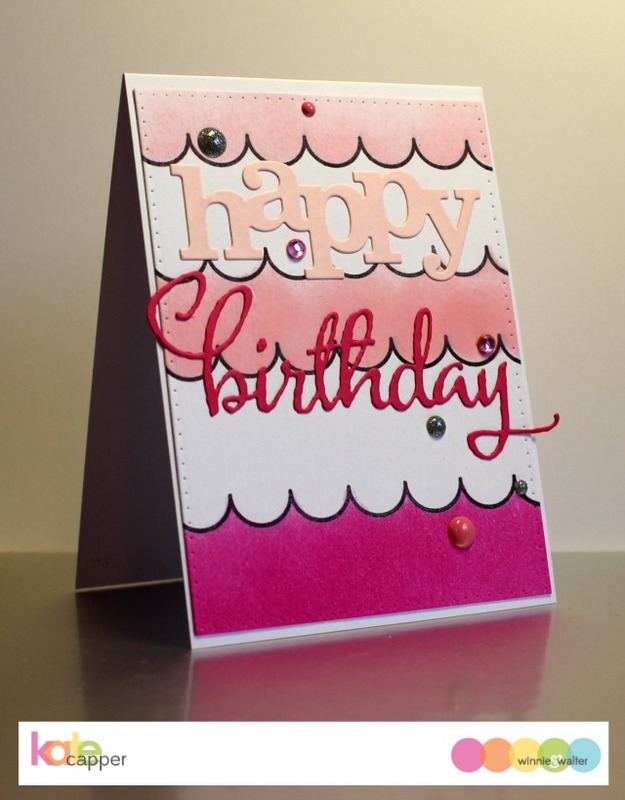 Love the 'birthday' die cut!! I like these. The 2nd is my favorite. LOVE your pretty colours and inky backgrounds!! !